The smartphone features a 6.4 inches Super AMOLED capacitive touchscreen display that carries the support for 1080 x 2340 pixels screen resolution at 403 of ppi pixel density. There is also a Corning Gorilla Glass 3 for protection that prevents your phone’s screen from scratches and being damaged. It runs on the latest generation Android 9.0 (Pie) operating system out of the box. 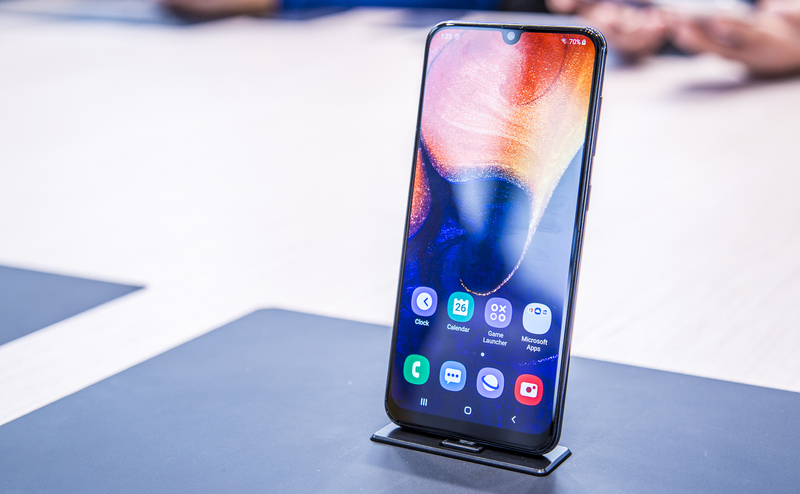 It is powered by the Exynos 9610 Octa (10nm) octa core processor and for graphics; there is a Mali-G72 MP3 graphics processor. On the storage front, the smartphone is equipped with 4GB or 6GB of RAM along with 64GB or 128GB of internal storage. The newly arrived phone also supports MicroSD card for storage expansion that increases storage up to 512GB. In terms of price, the Samsung Galaxy A50 smartphone retails for about 350 EUR.